As we are now in the peak holiday booking period, we are taking this opportunity to remind everyone of the key features and special benefits of one of our flagship products – Travel Plus. 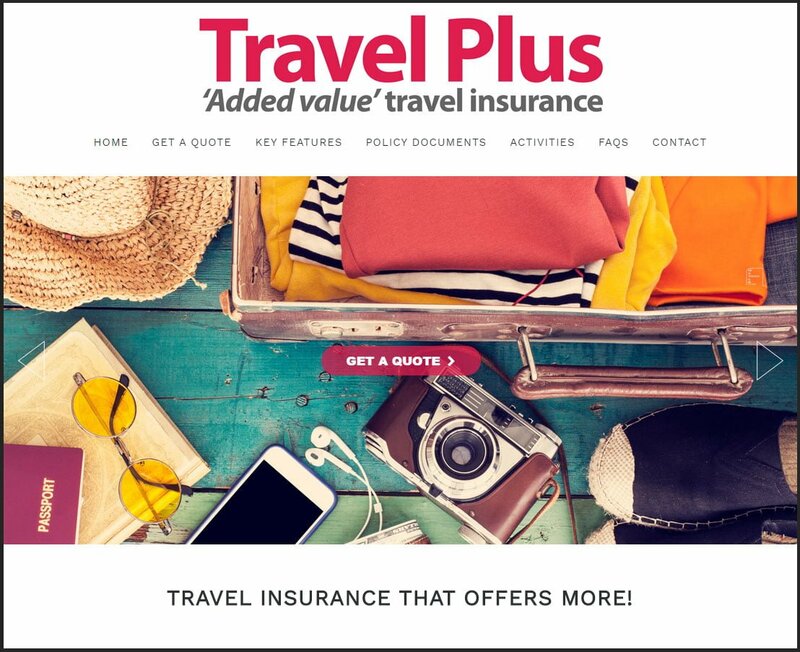 Travel Plus is the ideal policy for individuals, couples and families who require a comprehensive travel insurance policy, and with the ‘added value’ benefits gives travellers peace of mind and protection both before and during their holiday/trip. Unlike many standard travel insurance policies that have minimal cover benefits and low policy limits, Travel Plus is the complete opposite, offering travellers wide-ranging cover and high policy limits. Annual Multi-trip ‘Premier Plus’ – for those who want the highest levels of protection, Premier Plus offers high net worth cover including £10,000 for cancellation, £3,000 for baggage and UNLIMITED emergency medical expenses. No age limit on Single Trip – the Single Trip policy is available to people of all ages with no upper age limit. Wide range of activities included FREE – over 100 activities are automatically covered with Activity Pack 1.Other activities may be covered by paying an additional premium. See Travel Plus website for further details. Winter Sports cover – FREE with Annual Multi-trip; an additional premium with Single Trip. FREE cover for children – children under 18 years of age, or under 23 years if still in full time education, accompanying an insured adult are covered free of charge. Children can travel independently e.g. School trips – provided under Annual Multi-trip “Family” cover at no extra cost. Cover for existing medical conditions – a medical screening service is available for travellers who have an existing medical condition. In some cases an additional premium may be required. Emergency cattery/kennel costs – cover for emergency boarding expenses for your cat or dog up to £500 if your return home is delayed because of your illness or injury. Excesses – unlike many travel insurance policies we only deduct one excess per person for each incident or occurrence, rather than applying an excess for each section of cover. You can opt to delete the excesses by paying the Excess Waiver premium and the excess would be reduced to Nil in the event of a claim. Note: any excess imposed by us following your call to our Medical Screening Service will still apply. 24 hour medical emergency assistance – experienced multi-lingual coordinators and medical specialists are available 24 hours a day, 365 days a year. They will guarantee your medical costs where required, liaise with the treating doctor and arrange repatriation if medically necessary. First class claims service – a quality claims service is a must. We aim to settle straight forward claims within 5 working days. Journey disruption including airspace closure – provides cover for cancellation up to £5,000 or additional expenses up to £1,000 if your trip is disrupted by a natural disaster such as a volcanic eruption or if the Foreign & Commonwealth Office (FCO) advises against travel. Travel consumer disputes – provides up to £25,000 for professional fees to pursue a compensation claim against your tour operator, travel agent, pre-booked car hire company, travel or accommodation provider. End supplier failure – should your holiday or trip have to be cancelled due to the financial failure of your travel or accommodation provider, cover is provided up to £5,000 (£2,500 with Premier) and up to £1,500 for any losses that are not directly associated with the incident – such as car hire & hotel costs. Consular Assist cover – provides emergency assistance in situations such as your passport being stolen, or if a member of your family at home becomes ill. Consular Assist gives you the reassurance of knowing that even when you’re miles from home, you’re only moments from help. Providing you with advice and support from Embassy-trained staff 24 hours a day, 365 days a year. Additional ‘Cruise’ cover (Included FREE on Annual Multi-trip; an additional premium required for Single Trip) – provides cover for missed embarkation following delay in travel, cancellation of a scheduled port visit following a change in cruise itinerary due to adverse weather or a change in timetable, cabin confinement following your illness and the hire or purchase of formal attire should your baggage be delayed. Additional ‘Business’ cover (an additional premium required) – provides cover whilst travelling for your business or occupation. Includes hire or purchase of business equipment should yours be lost, stolen or delayed and replacement staff cover in the event of your illness. We recently launched our new Travel Plus website which provides customers with full product details, including copies of policy documents. Our online quote facility is currently being updated and improved and will be available shortly. You can however, get a quote in less than 5 minutes over the phone from our experienced UK-based customer service team. Travel Plus is available to UK and Isle of Man residents who are registered with a Medical Practitioner in the UK or the Isle of Man. The policy must be purchased in the UK or the Isle of Man and trips must start and end in the UK or the Isle of Man. The policy is also available for those who are a British member of Her Majesty’s Armed Forces stationed overseas. Travel Plus is underwritten by Cigna Europe Insurance Company S.A.-N.V., UK Branch and administered by Cigna Insurance Services (Europe) Limited. Travel Consumer Dispute & Consular Assist cover is underwritten by UK General Insurance Ltd on behalf of Great Lakes Reinsurance (UK) SE. Consular Assist cover is administered by Legal Insurance Management Limited. Please see the Insurance Policy for full Insurer details.